So last night was the first really good night’s sleep I’ve had since arriving in Ireland. For some reason, the time change really got to me this time around. But I actually now feel fairly adjusted. I woke up early and had room service deliver breakfast as Sunday mornings in Dublin means that everything is closed. Sundays, are, apparently sacred. Unless, of course, you’re in the pub. Because well, that’s okay. 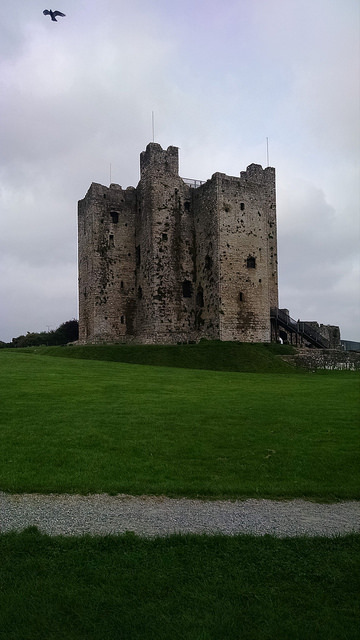 After that, we stopped at Trim Castle. Fans of the movie Braveheart will recognize this immediately, as it’s the castle used for the film. I still think it’s kinda’ interesting that the movie about Scotland demanding its freedom was shot in Ireland. The castle, though is AWESOME. Much nicer than Dublin Castle, mostly because it’s a lot older. 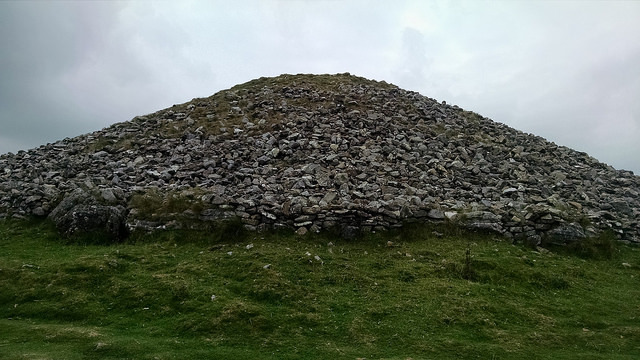 Our third stop was at Loughcrew, which is like Newgrange, but a little more interesting (or so says our tour guide, Jamie). I actually found it fascinating. It’s a series of 5,000-year-old burial mounds. One is so well-preserved that you can go inside and look at the ancient artwork on the walls. Even more interesting? The stone it was built with is not native to the area, so it’s a mystery just how the thing was built. 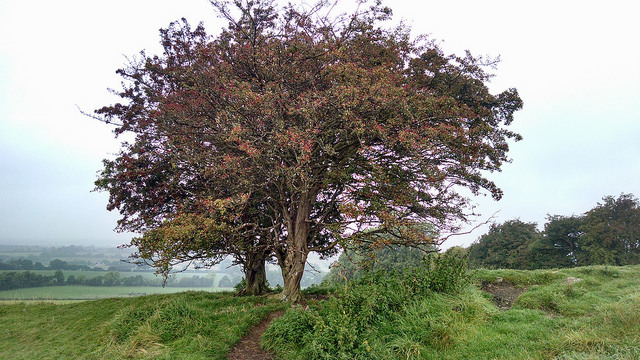 The website I booked the tour through said that it was a “gentle walk” up to the mound. I’m not sure what their idea of a gentle walk was, but it was more of a 20-minute climb and I kept patting myself on the back for deciding to wear hiking boots today, because that incline, in places, was pretty darn steep. If I weren’t in such good shape, I wouldn’t have made it. A few people in our tour decided to skip this and stayed on the bus because of the climb. We then stopped for lunch at a pub, in Slane, I think, where I had a hamburger. Now, when I see hamburgers on menus in Ireland, they’re 8 freaking ounces. That’s a lot of meat. But it’s good meat, better than what we get in the U.S. It’s made with freaking steak. And the chips we had were amazing. I sat at a table with another American, from San Diego, and two women from Portugal, one of whom I found out was a huge Assassins Creed fan. We got so deep in discussion that we held up the bus. Oops! Our next stop was at Monasterboice, which I thought was bigger. 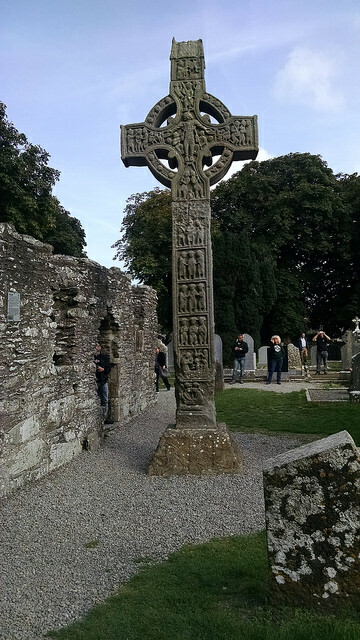 It’s pretty tiny, but the Celtic Crosses are a must-see because they’re gorgeous and really really really old. After Monasterboice, we went to Drogheda for the macabre part of the tour. We saw the head of St. Oliver in a church there. It was creepy, especially considering how well-preserved it was. I took a photo, but there was so much glare on the glass in front of it, it didn’t really look like much. But it was horrific and awesome, all at the same time. We then returned to Dublin, just in time for dinner. I went to the Gotham Cafe, which is supposed to be a sort of American food place, but I ordered a cod with mussels and sauce that tasted better than anything I’d get in America like that. This place also served pizza and I have to ask, do all the Irish really eat pizza with a fork and knife? Because I was about to school some folks on how to eat in what’s supposed to be an “American” establishment, or at least a facsimile thereof. I couldn’t help it. It just seemed weird to see such a rambunctious and lively people eating finger food like that. Anyway, I probably shouldn’t be so ethnocentric, and I was too into this fizzy prosecco drink I ordered that had juice and ice cream in it. For dessert, I tried Baileys gelato, which was divine. Now I’m sitting in my hotel room, waiting for my nightly chocolates. I might watch some BBC, take a long hot bath and yes, I AM SLEEPING IN TOMORROW. I have tickets for the next two days for the hop-on hop-off bus tour, so these next few days will be much more leisurely.